The allure of the mountains has always been powerful as it's a throwback to a simpler way of life, in a setting that's more serene and quiet than our daily lives. 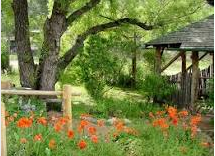 Add to that a living history experience on a 1930s ranch complete with goats and chickens, classes on the life ways of the period, an art gallery, antique store, hiking trails, and special events, and you have a place to remember. 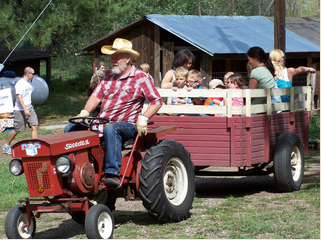 The Kinnikinnick Ranch was established in 1920 by the Humphrey family to be just that place. 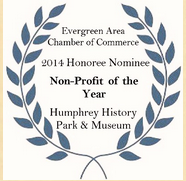 Today it is run by the nonprofit, Humphrey History Park and Museum. 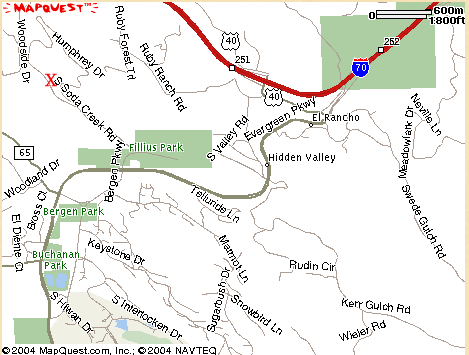 The ranch sits on 35 acres nestled in the foothills of Evergreen, Colorado. Our mission is to tell the story of the life and times of the Humphrey family and their home, the Kinnikinnick Ranch. 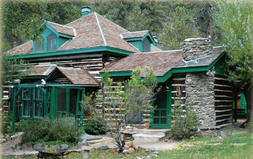 The Museum began in 1995 through a bequest of Hazel Lou Humphrey. The bequest specified that the property would be used “to preserve the history of the Humphrey family and the natural aspects of the grounds to provide an area for the use and pleasure of the public.” The Museum Board struggled for years to obtain these goals and ultimately closed the Museum in September 2009. In early 2011, the remaining two members of the Board conducted a facilitated retreat. The result reorganized the Museum’s mission, operating plan, internal structure, board composition, and hired a museum professional as the executive director. Today, visitors interact with daily activities following the “Manual of Housekeeping,” (Monday is wash day, Tuesday is ironing day, Wednesday is mending, Thursday is gardening, Friday is cleaning, and Saturday is baking) in the original Humphrey home set in the 1930s and 40s, garage, cattery, play house, teacherage and visitors cottage; reconstructed barn; restored flower and vegetable gardens; and numerous outdoor activity stations. The Park is open Tuesday through Saturday from 10:00 am to 4:00 pm year round. Classes on the life ways of the 1930s and 40s are offered on Wednesdays, Fridays and Saturdays.